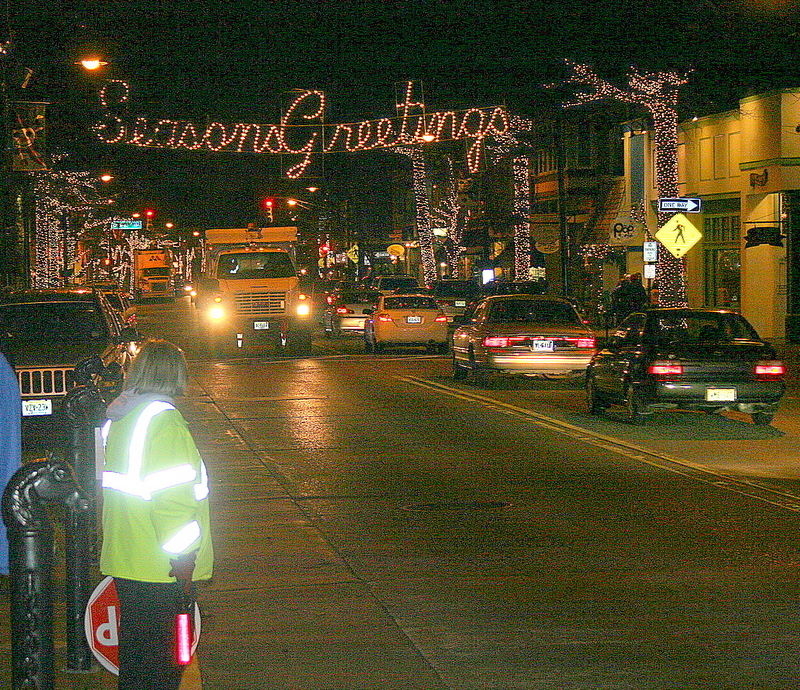 Collingswood, NJ was decked out in all it’s holiday splendor last night. The entire town looked as if it had just stepped off a Norman Rockwell magazine cover. Christmas lights lit up the streets, a choir sang carols on the steps of a church, and the sidewalks were jammed with shoppers and diners. All of this made it difficult to find a parking spot for our 8:00 P.M. reservations at Il Fiore. I dropped my wife, Kathy off in front of the restaurant and spent the next 20 minutes searching for a parking spot. I found one a half mile away and trekked back to Il Fiore, enjoying the carolers as I passed the church. There was a crowd outside the restaurant milling about as they had arrived without reservations and the place is way too small to wait inside. I made my way through the throng to our window table, Jerry and Joe and Carol, Sue, and my wife were nearly finished with the bread and their first glass of wine. Joe had brought a 2007 La Posta, Malbec from Argentina and Kathy was claiming that she liked it, a lot. 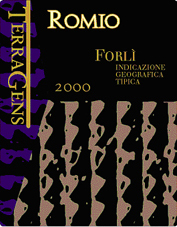 I had chosen an Italian wine, the 2001 TerraGens, Romio, Forli a Sangiovese based wine from the Emilio Romagna region. It imitates a Super Tuscan at half the price and I thought it was very good. Kathy felt it had evidence of the “barnyard smell” that she constantly finds in French wines and has now discovered in Italian wines. Maybe it’s an anti-European bias on her part. I should note that just after taking the picture of the Collingswood street scene my camera conked out so there will be no food pictures in this review. That’s actually too bad because our entrees all looked good. I started with an Insalate di Fiori and topping the mixed greens was a generous portion of crab meat which blended well with the subtle dressing and tomatoes and created a good start to the meal. I should warn you that Il Fiore is a place for food, not ambience. Tables are crowded into the tiny space and it’s a wonder the waiters can even make their way to each table. Having said that, the food more than compensates for the cramped space, and ours was even less effected as we were by the window. Kathy and Joe chose one of the evening specials, cavitelli with shrimp in a tangy blush sauce. Joe liked it but would have preferred the “tails” be removed prior to serving. Kathy thought the “tails on” added to the presentation. Jerry had the Salmone al Forno and thought the fish was done well and the white sauce worked perfectly. Sue had a pasta dish with sausage and herbs which she thought had great flavor. I had the Involtini de Pollo, four small pieces of rolled chicken with prosciutto, cheese and spinach in what, I believe , was the same blush sauce that everyone else had on their entrees. I enjoyed it but it was not large enough to have for another meal. Carol had the Pollo Limone, chicken breast in a lemon wine sauce. 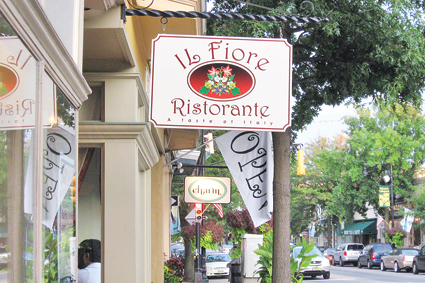 We all enjoyed our entrees, passed on dessert as we went back to Carol and Joe’s house for that, and made mental notes that Il Fiore is certainly a place that can be visited often. Prices were extremely reasonable and the food good enough that you can find real value, once again, in another Collingswood eatery.